It is assumed that Prime Minister Binyamin Netanyahu will receive the mandate, as at present, prior to the official announcement of the final election results, Likud is the largest party and the right-wing bloc has a significant 65-55 majority over the left-wing/centrist bloc. PM Netanyahu will face many challenges until announcing his next coalition, as he will be able to accommodate some of the demands, while others will be more in the realm of problematic to ‘not happening’. One of the challenges facing Netanyahu will be that of Avigdor Lieberman’s Yisrael Beitenu party. 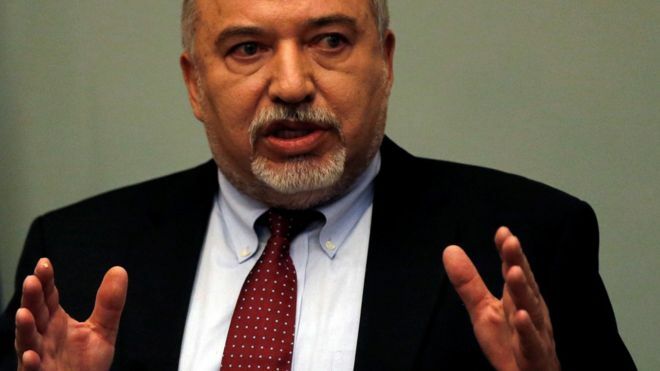 During the election campaign, Lieberman spoke of his unyielding position regarding the draft law, insisting he will demand that no changes are made to the current draft of the bill, which was approved by the IDF and Defense Ministry. Lieberman told his constituents that this will be a demand in coalition talks. Other demands include the cessation of DNA tests by the Chief Rabbinate towards establishing their Jewishness. Adding to Shas’ woes is it is reported that Lieberman is beginning to look at the Interior Ministry, the ministry responsible for recognizing a person as Jewish for purposes of granting citizenship. Ironically, the major issue will likely surround the draft bill, which sparked the dissolving of the last Knesset and early elections, and now, the Chareidim and Netanyahu will find themselves in the exact place they left off before announcing early elections. Lieberman is likely to receive backing for his position by numerous opposition parties in Knesset, and any chareidi-friendly draft law will also be challenged in the High Court of Justice. Leaders of the chareidi factions in Knesset, Moshe Gafne, Yaakov Litzman and Aryeh Deri met with Prime Minister Netanyahu on Monday morning. There is also the matter of the new Conversion Law that Deri is pushing, with the chareidi parties expressing tenacious opposition to the recommendations of the government-appointment committee headed by former Likud minister, Moshe Nissim. Avigdor Lieberman remains an adamant opponent of Deri’s Conversion Law. At the end of 2018, the state requested a six-month extension on legislating a new Conversion Law from the High Court of Justice based on the recommendations of the Nissim Committee. In addition, three Rishon L’Tzions spoke out in uncertain terms against the state committee for giyur and its recommendations. Lieberman needs to stop his vendetta against charedim.We won’t serve in an anti-religious IDF no matter what law you pass, so stop stirring up hatred and discrimination! docelisha: I guess you have no experience of dealing with determined Russians. Leiberman will not back off. If this forces another election, so be it. Leiberman represents the Russians in Israel and no-one else. If there is a Netanyahu-Blue White coalition, Leiberman will be seen as the kingmaker of a broad consensus national coalition. Most Israelis will be happy to see the Charedim given a firm slap. The only losers will be the Charedi tzibbur. The other option is for Netanyahu to persuade the President that a coalition without Lieberman is in the nation’s best interests if indeed Netanyahu wants to throw himself at the mercy of the Charedim. Leiberman’s positions are probably closer to Netanyahu’s thinking than the positions of the Moetzes Gedolei HaTorah and the Shas Council of Sages. Jerusalem observer: Netanyahu does not need Lieberman if he has Blue & White. And if he does not have B&W, then Netanyahu must have Lieberman AND the Chareidim. That’s the only math that works to 61. Enough with him and with Netanyahu. I believe UTJ together with Shas should shake things up an make a good deal with Blue&White. Even that conversation would have Netanyahu and Lieberman soiling their pants. Liberman can make demands, but at the end of the day he will need to realize that fve seats don’t have more say than 15 seats.